"Let me help you with your Immigration matter"
I am an immigrant myself. I followed my American Dream (to get licensed to practice law in the U.S.) consistently through hard work and persistence. I was almost 40 years old when I came to the U.S. and spoke little to no English. Playing by the rules (U.S. Federal immigration laws) and getting professional advice in time, helped me to avoid any negative consequences with my immigration matters. If you or your relative/friend did not play (or are not playing) by the rules you must seek immediate professional advice. In support of the above, see below a few extracts from my entire educational and professional achievements. LL.M. (Master of Laws) THE GEORGE WASHINGTON UNIVERSITY LAW SCHOOL (Washington, DC, USA, 2004-2006). JD (Juris Doctor) MOLDOVA STATE UNIVERSITY SCHOOL OF LAW (Chisinau, 1985-1988). NATIONAL INSTITUTE FOR ADMINISTRATIVE STUDIES (Bucharest, Romania, 1990-1992). OXFORD UNIVERSITY (Oxford, United Kingdom) Research Fellow (European Union legislation system, 1995). (Chisinau, Moldova) On-the-job Trainee & Legal Consultant, 1996-2000. After granted political asylum in the U.S. (2002) I started my introduction into the U.S. Immigration Law through the community service based organization Capital Area Immigration Regional (“CAIR”) Coalition, Washington, DC, where I am an active member since. Starting 2004 I was working as an immigration paralegal with law offices in the Washington, DC metro area until 2010. It was giving me a great opportunity to handle ALL possible immigration matters but not limited to: business-related (EBs/Es/Hs/Ls/P & O; TN & NIW; PERM & Labor Certification; family based (I-130s and I-485s); asylum (refugee)/NACARA/TPS; all types of waivers service and VAWA, U visas and brief-supporting preparation for immigration courts and BIA (Board of Immigration Appeals). 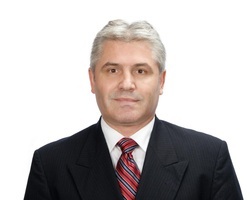 Legal Expert for the U.S. consultants conducting extensive training for corporate professional, educational and research development programs on Moldova legislation System (1996-2001). Vice Minister (Ministry of Environment Protection of Moldova Government) a government’s decision-making position on ecological state control and licensing authorization (1998-1999). State (Moldova) TV Show Moderator/Legal Consultant on “Reforma Agrara”. This program was dedicated to give the direct legal advice to Moldova citizens on how to privatize the land and real-estate property from a collective form of ownership (1988-2001). Lecturer at Moldova State University (1997-2001). Mayor, Roscani Village Council, Straseni District, Moldova (1990-1994). AILA (American Immigration Law Association) member. Licensed to practice law in the District of Columbia with exclusive focus on immigration matters in all 50 states of the United States.